Martin Palacios used to be the CIO at Vancouver-based First Majestic Silver Corp., but lately he’s been going by a new title after his recent promotion – chief transformation officer. Now responsible for the people, processes, and technology at the mining firm that operates in Mexico, Palacios says his journey to leading the company’s digital transformation didn’t happen overnight. He had to build up his own team’s credibility with the operational side of the business, and prove their role as good process managers. Palacios points to one specific project that won him and his team credibility. To separate the silver ore from other minerals, First Majestic’s mines use a liquid solution that requires a specific pH level to work. To ensure the solution was properly balanced, workers would do a pH litmus test and then add more lime if it needed to be boosted. The workers used a liquid lime substance that was injected into a pump, and then manually pumped it into the solution. Martin Palacios was promoted from CIO to chief transformation officer at First Majestic. When Palacios heard of the process, he knew he could automate it. His team came up with a plan to use sensors to detect the pH levels, and an automatic pump that would eject lime when necessary. They could also add a backwash pump to decrease the pH levels if it got too high. The icing on the cake was that the new process could use powdered lime instead of the more expensive liquid lime. Like many industries in the years following the recession, mining now finds itself in a period of transformative change. As Kirby Johnson, a natural resources consulting partner with Wipro Ltd. explained, in the decade prior to 2010 most mining companies only required an IT manager to keep the lights on. After 2010, a CIO became necessary to manage the growing IT department and data stores of mining firms. By 2020, mining firms will require a chief transformation officer to manage the disruptive changes happening within the business, he adds. While consumers wait on fleets of self-driving cars to scoot them about city streets, mines are already investing in driverless Caterpillar transport trucks to move ore around their sites. The CIO can be helming this transformation, a panel of CIOs helping to manage mines in India, Mexico, Australia, and Canada agreed. But getting there won’t be without friction. Those running the operational side of the business are bound to be skeptical, and some people just hate change in general. Meanwhile, Paypal co-founder and entrepreneurial celebrity Elon Musk is leading the charge into the final frontier of mining with his Planetary Resources venture. Rather than the traditional mining sector showing that level of visionary next-step thinking, it’s coming from the technology sector. In a bid to better integrate his team’s culture into the wider organization, Kalev Ruberg, CIO of Teck Resources, says he keeps his Internet of Things group headquartered at the mine site. This ensures they interact with superintendents and drivers, building credibility through their daily interactions. And if you really need a credibility boost, try doing a security audit on your mine’s operational technology. When Ruberg’s team did their audit, the business told them the technology was isolated from the Internet and therefore not at risk. Yet it was writhing with malware infections, and Ruberg found that thousands of connections were blacklisting the equipment. “That changed the organizational view on who should manage process control overnight,” he said. The panel of CIOs agree that their peers working in the mining industry need to continue to prove their credibility and integrate with the company business culture – even if it’s one project at a time. Eventually, the business will look at IT again and recognize the diamond in the rough. 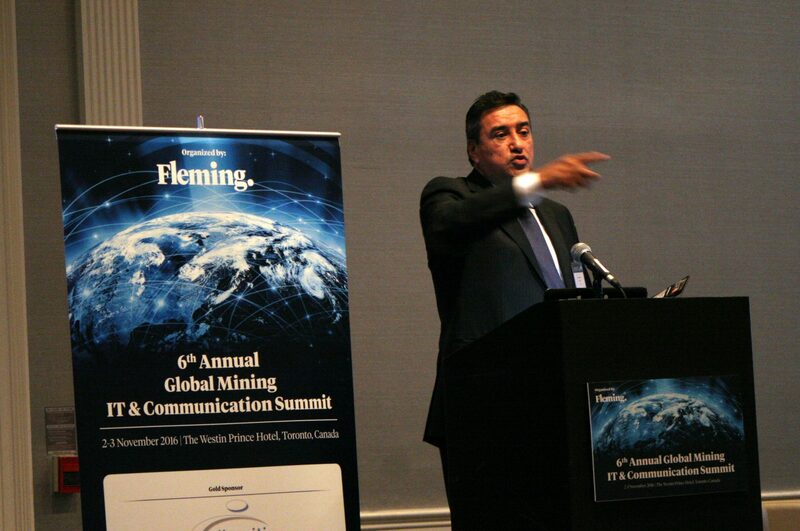 IT World Canada was the media sponsor of Global Mining IT & Communications Summit. Thank you to Ritika Sinha for your work in organizing the event.